I to have sim blender, thats a good one, im thinking about getting the pregnant where any outfit, ita next on my list to try! Great! I cant live without i think its moniques computer. Where you can buy from home/ set careers etc. Ok, i think its a LN apartment block, so is there no way of disabling the roomates? I LOVE generations! I feel it adds depth to the game I DISLIKE supernatural as (in my personal opinion) its not needed on the sims games. Aha ive just reset my browser and i can now! Thank you anyway! hi, im unsure on buying sims 4, what do you think? is it better than sims 3? is it worth it? thank you. My heating finally worked! Live in the uk, having some coooold weather! Hes out of hospital! Hes got all clear to come home! On lots of pain killers but wants everyone to know he is grateful for the care and concern, This was a a happy text to forward to everyone! Just once (unless i get stuck and run out of food then ive got to return) Q: how many generations of the same family have you played ? 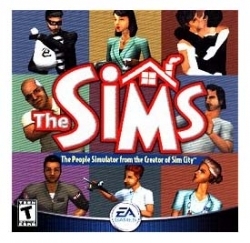 Hi im AJ, been playing the sims since the original! Im now venturing into the sims 4! After years of playing sims 3! At the moment im still playing the TRAIL version im 50/50 with it.